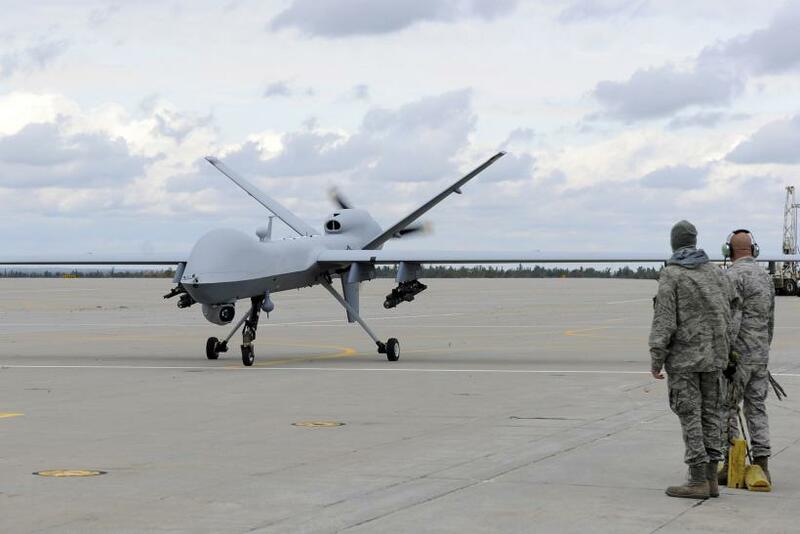 A U.S. drone strike in Somalia killed Adan Garar, a militant who was partially behind al Shabaab's 2013 attack on the Westgate Mall in Nairobi, Kenya, according to the Associated Press. Two others were killed alongside Garar in the strike, the latest in a string that have taken out high-ranking members of the al Qaeda affiliate in east Africa. The 2013 Westgate Mall attack, perpetrated by four gunmen, killed 67 people. Al Shabaab claimed the attack was in response to the Kenyan government's support of the Somalian government, which the militant group seeks to overthrow. The strike occurred outside the town of Baardheere, about 190 miles from the Somalia's capital, Mogadishu. The three were traveling in a car. Hussein Nur, a local resident and witness to the attack, described seeing the car drive past him and then hearing "the huge blast from a drone" ahead of him. After the explosion, Nur saw "three men on board completely burnt and then many armed al Shabbab fighters in cars" arriving at the scene, according to Reuters. The strike was confirmed by an unidentified Somalian and U.S. official, separately. The U.S. began targeting the radical Islamist group in 2007, with the use of cruise missiles, manned aircraft and, beginning in 2011, drones, according to the Bureau of Investigative Journalism. The strikes often target high-ranking al Shabaab members and their convoys. The U.S. has been criticized for reports that civilians are often killed in the strikes, but officials rarely elaborate on allegations that they strike civilians or cannot confirm their targets.